Throughout the ages, human ancestors have looked to the moon for comfort and guidance. Marking time and turning tides, inspiring fear and imagination, the glowing orb that is Earth’s nearest celestial neighbor has been a constant and reliable beacon lighting the way through the dark skies of time. During an eclipse the moon would grow dark and red, triggering panic, resolution, rituals and celebrations among many cultures around the world, and this mesmerizing sight, known as a “blood moon,” is the inspiration for an album featuring five long-form tracks of tribal ambient, electro-shamanic, modern primal soundscapes from electronic music shamen Frore (Paul Casper) & Shane Morris. Blood Moon features an intoxicating blend of acoustic and electronic percussion, flutes, duduk, organic synth textures and ethereal atmospheres & soundscapes that follow in the Tribal Ambient traditions established by Byron Metcalf, Vidna Obmana, Robert Rich, and Steve Roach. All the hallmarks of the ethno-ambient sound are reflected here as the album glows with layers of rich harmonic textures – both ancient and modern – riding a polyrhythmic current of living, breathing drums and percussion. Pulsing soundworlds, both electronic and organic, rise up from swirling atmospheric drifts, all driven by primal forces of the past and present. Indeed, the moon has kindled great wonder throughout time, and the soundscapes of Blood Moon delicately reflect the mystery of nature, passage of time, ritual occurrences, and ancient wisdoms that are still vital components of modern culture; a symbolic reference to the power, unity, and interconnectedness inspired by countless gazes at the beauty of Earth’s companion. Blood Moon is a strong addition to the overall tribal and ethno-ambient canon. It will slot in alongside your personal favorites. Capser and Morris have very good chemistry; they are strong tribalists on their own, and this joining of their powers results in a rock-solid release sure to please tribal fans. Blood Moon as a title conjures up a wealth of rich association and colour which is pleasingly equalled here by this evocative, mesmeric set of deep long-form recordings. The mood is one of enigmatic reverie or timeless reverence where booming hand drums rumble against dense ambient textures; sonorous world sounds reverberate among synthetic drones and primal forms intertwine with contemporary aesthetics. Each of the recordings of Blood Moon is between nine and seventeen minutes allowing for a smooth, gradual progression of sound, hypnotic percussive repetition and evolution of structure. As well as keyboards and synthesisers, such gorgeously inspiring instruments as duduk, singing bowls, Anasazi flute, Navaho cedar flute, udu and didjeridoo fill the air with nocturnal wonder. Electronic drum sequences, frame drum and delicate shakers maintain the ongoing future/past juxtaposition. A beautiful card wallet encloses the Blood Moon CD (blissfully free of plastic) in one open end. Lush, vivid hues colour the bright red/orange lunar orb and spangled purple night skies that adorn every panel. Heavy shadows sink foreground rocks and trees into silhouette whilst white pin-points fleck the void. Track titles on the rear cover show running times with relevant web links noted at the foot. Opening the package reveals a panoramic moonrise of the same heady intensity as the outer cover, undisturbed imagery on the left side, notes on each of the artists to the right. Brought together by a shared love of the rhythmic tribal ambient genre and a tendency to delve into the darker corners of the musical world, Paul Casper A.K.A. Frore and Shane Morris deliver Blood Moon via the Spotted Peccary label. 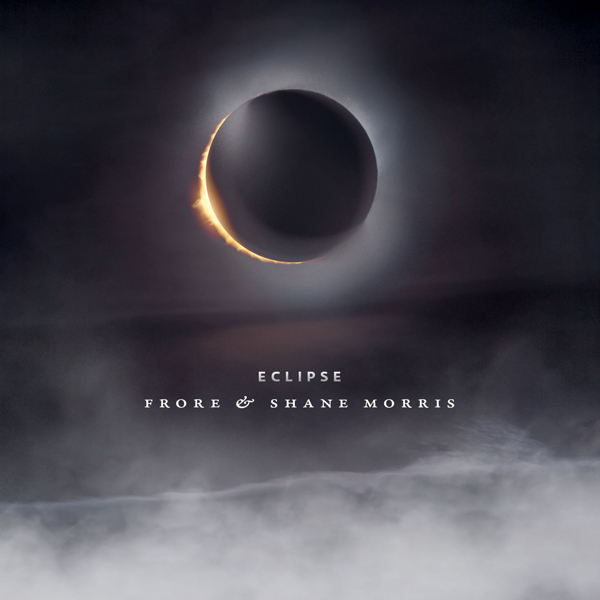 The album is inspired by experiences of eclipse wherein "the moon would grow dark and red, triggering panic, resolution, rituals and celebrations among many cultures around the world," Paul Casper explaining, “I really find the dichotomy between the ancient and the new very alluring, and I just want the music to inspire a sense that the world is still mysterious." The Spotted Peccary website provides a variety of purchasing options both digital and physical as well as allowing listeners the opportunity to sample each of the tracks and read about the artists.